“Passengers and crew, prepare for landing!” the pilot announced over the microphone as we finally closed in to touch down at Manila International Airport on the night of 3rd December 2017. I was part of the 7-member team from Bhutan to attend the 5-day training on Cross-sectoral Project Management at the Industrial Advanced Academy of the Philippines (IAAP) in Manila. I was filled with excitement as the aircraft landed and taxied to the gate since it was my first time to be in the Philippines, the Pearl of the Orient Seas. We got the first taste of Filipino hospitality when the airport staff treated us warmly as we made our way out of the airport. Unlike in many countries, the immigration formalities were so simple and efficient. We did not have to even process for Visa on Arrival since we were going to be in the country only for five days. Outside the airport, the staff from the Institute were waiting for us as expected. They warmly greeted us and escorted us to the Institute with a short stopover on the way for the late-night dinner. It was already about 1 o’clock in the morning when we reached our destination. It was a long day for us but we had a lot of fun. For the next few days, we were introduced to the fundamental concepts and theories of project management that could enable us to develop realistic project proposals. We were also given practical lessons on how to use the Microsoft Project to design different projects and how to monitor/evaluate the progress of the project. The classes were intensive but very insightful and informative. Although I personally could not have the hands-on-practice due to the accessibility issues with the laptop set up by the Institute, I was able to understand at least the basic concepts of how to use the tool to design and develop different projects. Besides, we also had the opportunities to visit relevant organizations within Manila working for children and youth, and we could get a lot of new ideas and knowledge from their experiences. What was very special about this training was that it offered a perfect blend of both intensive classroom learning and study visits. However, one of the most beautiful moments for me was the visit to Blue Coral Beach which was about 149 kilometers away from Manila. 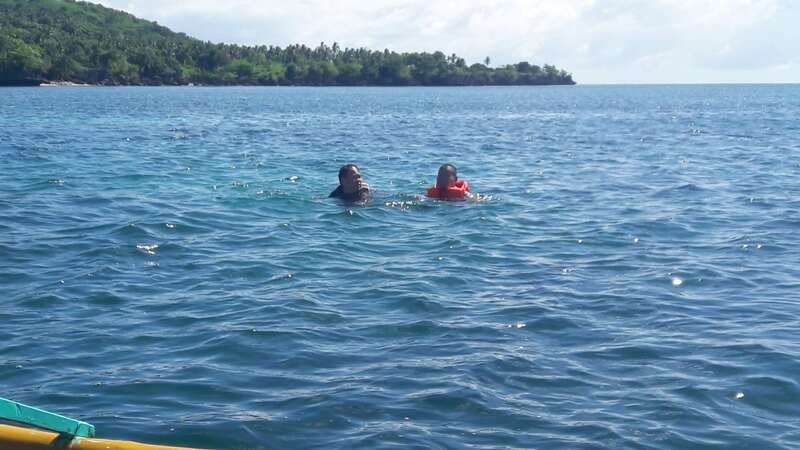 Those of us who dared to challenge the depth of the ocean went on a boat to a calm and tranquil part of the ocean, a few kilometers away from the shore where we could float freely on the surface of the water with life-jackets on. Although I initially struggled to balance my body, I soon learned to enjoy treading through the water. We really enjoyed playing on the water, swimming around the boat like dogs. I wished we had more time on that day. After a few hours of uninterrupted fun, we returned to the beach where we were joined by those friends who had stayed back. It was one of the most beautiful memories I could create in the Philippines. 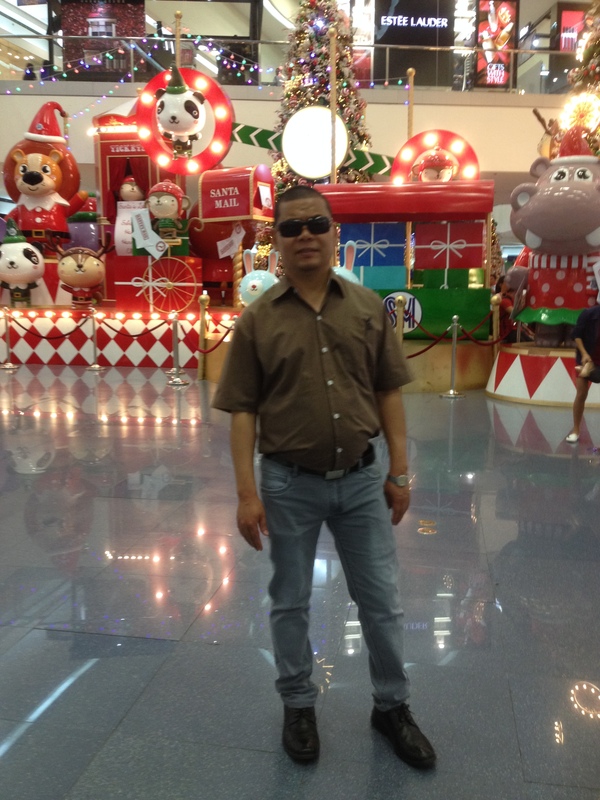 During the free hours in the evenings, we went to different malls for shopping. One of the most amazing features of the Filipino economy I saw was that almost all the shopping complexes are manned by youth. Every mall you walk into, you will find young girls and boys greeting you with broad smiles. I was amazed to see young people playing such an important role in the society. It looks like they are one of the main driving forces behind the success of their economy. They are so professional in dealing with customers that they have the heart to thank you even when you don’t buy anything from them and walk away. The only problem I faced during my stay there was that I had a tough time finding vegetarian foods in the restaurants because the majority of people there are non-vegetarians. I felt really fortunate that I at least did not quit eggs. Otherwise, I would have definitely starved. Nevertheless, I had a memorable stay in Manila. I could create a lot of beautiful memories even within a short period of time. We returned on 9th December 2017. I am very glad that you enjoyed your stay in Manila. I was there for a week and stayed inside Makati for over a week to enjoy all the eye opener. It is warm and nice to hear how much you enjoyed floating in the seas. I forgot that you do not have oceans in Bhutan like we do in our countries. Makati is a very upscale area with all the posh hotels and shopping malls. I had real eye opener visiting the Wealthy Chinese Cemetery, US War Memorial and the slum areas at Smokey Mountains. Mabuhay Manila! Yes, u r right. It is always fun to explore new cultures and landscape of countries you have not visited before. Thanks for the comment.